If you’re in the market for a new lease car but are on a strict budget, check out Nationwide Vehicle Contracts latest lease deals from under £150 + VAT per month. Whether you’re looking for a supermini like the Vauxhall Corsa or a mini MPV like the Nissan Note, Nationwide Vehicle Contracts has a deal to suit most drivers and budgets. Five of the best deals are listed below with many cars in stock for quick delivery. First up is a superb 2 year stock deal on the Nissan Note 1.2 Acenta, available to lease from £99.95 + VAT a month with metallic paint included in the low monthly rental. With an initial rental of just £699.95 + VAT and a generous specification as standard, the Nissan Note offers fantastic value for money making it the perfect lease choice for growing families. 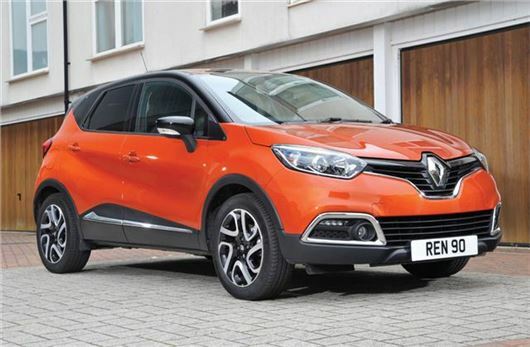 Monthly leasing rates on the Renault Captur 1.5 dCi 90 Dynamique MediaNav Energy have been revised with savings of up to £10 a month. Leasing rates now start from just £129.95 + VAT a month on a 2 year contract with an initial payment of £499.95 + VAT. A limited number of cars are due to arrive in stock in August. There’s still time to take advantage of our special 2 year deal on the Vauxhall Corsa 5 Door 1.3 CDTi  ecoFLEX SXi [AC] from £89.95 + VAT a month with an initial payment of £999.95 + VAT. A limited number of cars are in stock for quick delivery with free metallic paint in Silver. The Peugeot 308 1.6 e-HDi 115 Allure is in stock to lease from £139.95 + VAT a month on a 2 year contract with an initial payment of £999.95 + VAT and metallic paint included in the low monthly rental. Standard equipment on the Allure model includes front and rear parking sensors, Bluetooth, air conditioning and 17’’ alloy wheels. Finally, a limited number of Ford Fiesta 1.25 82 Zetec 5 Door cars are in stock to lease from £115.95 + VAT a month on a 4 year contract with an initial rental of £709.95 + VAT. This model is equipped with Ford’s innovative SYNC system and is also available with free metallic paint in a wide range of colours. All prices are based on an 8,000 MPA business contract hire agreement and exclude VAT and processing fee of £150 + VAT.